Shamanic Womb Wisdom – "I know that through my Womb, all things come to exist.."
"I know that through my Womb, all things come to exist.."
With a lifetime of influences that bring natural & holistic health practices to the surface, Amy incorporates a diverse range of educations & insights to her practice, enabling her to deliver her unique abilities to see the cause beyond the symptoms & understand the solutions from various angles, enabling you to bring your health back into the balance required, especially for Conscious Conception. Now 20 years in the making, Amy’s holistic connection into our world has led her to be an International voice for her passions & occupation. Her insights into Womb Wisdom & Sexual health are visionary & have featured in many discussions, supposiums & international panels into fertility & women’s health. Her shamanic presence leads & assists in sell out international retreats where our individual truths are held with open heart honesty & her divine essence channelled in the space she holds. 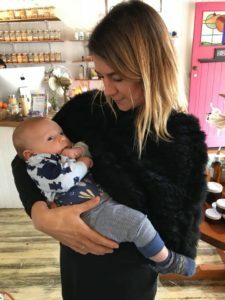 It’s been said that Amy’s earliest days of intuition stayed with her & this is how she grew, which makes the most sense in seeing how her intricate & educated self awareness has led to her expertise in Womb Wisdom with Women’s Health. As her self practice & lifestyle commitments complimented the visionary insights that led Amy down her chosen path, she has become an industry leader well before her years. With her mentors pushing Amy towards her shamanic roots over the last two decades, Amy’s most profound healings have come from International clients, engaged in the ritual space, bridging this gap of distance with deeper intention & her multi modality treatments available to her visionary state of being. Akin to everything energetic, Amy is bridging the gap between healing & health, empowering her clients as a ‘change agent’ to engage the body’s balance & energetic transfers, bringing healing to the root of its foundations. To compliment these shamanic insights, a full range of organic plant based supplements & her proprietary Tonics from Darkmoon Alchemy will be prescribed according to your health requirements. Helping women become mothers via the truth in their heart. Reconnecting the spark in the relationship and in the bedroom. + A leading Fertility expert in Australia with International recognition.